In writing my first novel, whose protagonist is a young refugee woman from East Pakistan, I employed the device of coincidence to achieve a happy ending. Doing so wasn’t a sudden rush on my part to end what had become a protracted writing project but a well thought-out conclusion. It was not to be. When they read it, two of my trusted beta readers quashed it summarily, citing it as lazy and escapist. Even though incredible incidents can happen in real life, one of them advised, in a work of fiction, coincidences are hard to pull off convincingly. 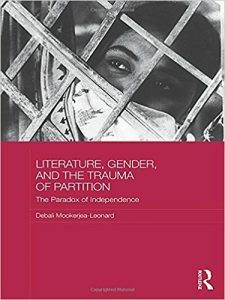 An incident Debali Mookerjea-Leonard mentions in the preface to Literature, Gender and the Trauma of Partition: The Paradox of Independence starkly bears out this paradox. Shortly after the All India Muslim League’s call for Direct Action in Calcutta in 1946, the author’s grandfather was stranded in Howrah station as public transport had been suspended in the wake of the sectarian clashes. He eventually got a ride from a kind Muslim family who had a private car, but had to climb on the footboard as the vehicle was full. To ensure his safety, he was given a flag of the Muslim League and advised to shout “Pakistan Zindabad” when passing through Muslim neighbourhoods. He did, and reached his home safely. The insanity that gripped the subcontinent a year later when India was partitioned has been arduously chronicled in historical archives. In the privileging of journalistic reportage and record-keeping, personal histories surrounding the traumatic event haven’t received much attention until recently. The initiatives of Urvashi Butalia, Ritu Menon, Kamla Bhasin, and Jashodhara Bagchi, among others come to mind. Mookerjea-Leonard’s book is an important intervention in this regard, not only because of its meticulous research and compelling arguments but because it sits in that nebulous middle – a no man’s land if you will – of fact and fiction. The author examines with incisive rigour fictional works on Partition and juxtaposes them against factual information and recent recordings of oral histories. As someone not directly affected by the event, hers is a lens that is both objective and earnest. The works discussed in Literature, Gender and the Trauma of Partition are mostly from Bengal, which the author calls the “neglected shelves” of Bengali literature, written by writers from both sides of the Radcliffe divide. As she mentions in the Preface, this book is her tribute to her city, Calcutta. It is also a conscious effort to shine a light on the sufferings of those at the eastern end of the divide, as the tragedy of Partition in Bengal has been either underrepresented or misrepresented when compared to Partition in Punjab. This could well be attributed to, as Mookerjea-Leonard is cognisant of, the predominant and recurrent theme ofdisplacement in the east as opposed to that of horrific violence in the west. Read the rest in The Wire.